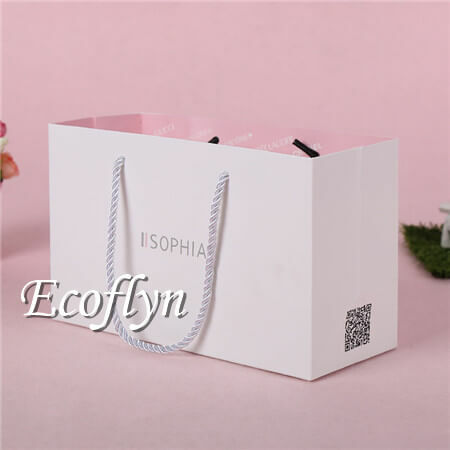 We have briefly share you some features of kraft paper bags last time, and today would like to show you our 7 hot sale bulk paper gift bags as the Mother’s Day is coming soon. Is it always not easy to wholesale bulk paper gift bags in SMALL quantities for your e-stores on Amazon or Etsy, right? 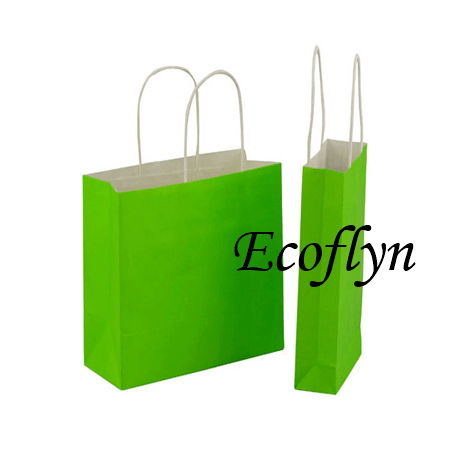 Then, have a QUICK look at Ecoflyn – a China bulk paper gift bags wholesale supplier. 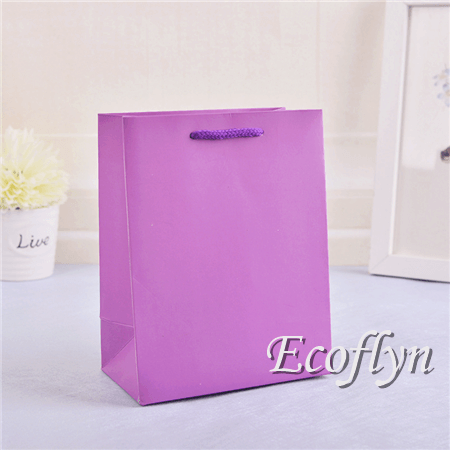 We have various kinds of paper gift bags with handles in stock with LOW MOQ. Mother’s Day is around the corner, which means there will be a boost of orders for e-commerce sellers like in Amazon or Etsy. 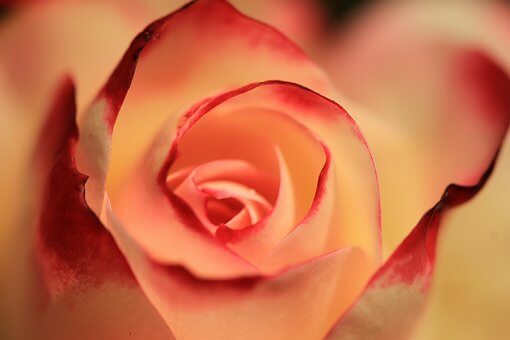 No matter through jewelry, beauty products or scented candles, bottle wines, people are going to try best ways to express their appreciates to the women( like moms, grandmas) in their life. 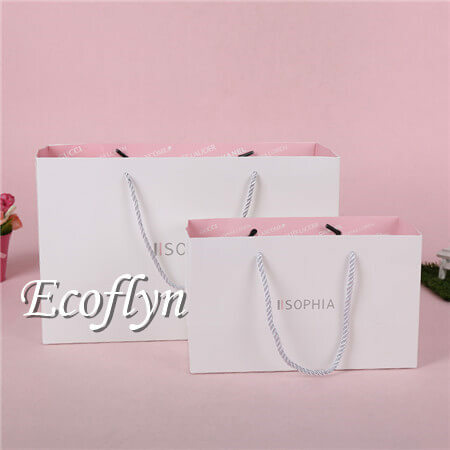 Due to paper gift bags are used frequently in our life, then, as a paper gift bags wholesale supplier in China with years of rich experience, I’d like to show 7 popular custom gift bags for your review. 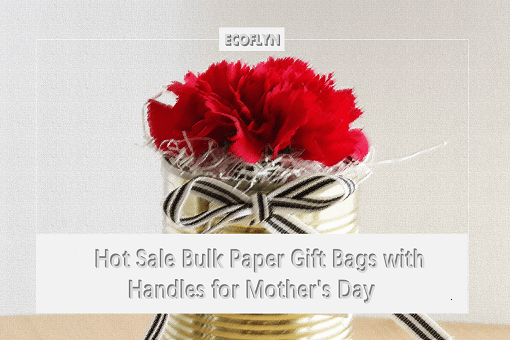 From jewelry gift bags, wine handles bags or cosmetic carrier bags to candles paper tote bags, quickly discover a good fit for the Mother’s Day coming soon. 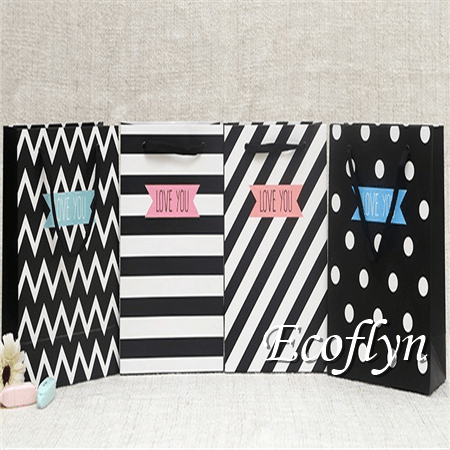 No matter you run a real-life store or an online e-commerce shop, it’s always necessary for you to prepare a huge selection of bulk paper gift bags to wrap&package gifts safe and elegantly. 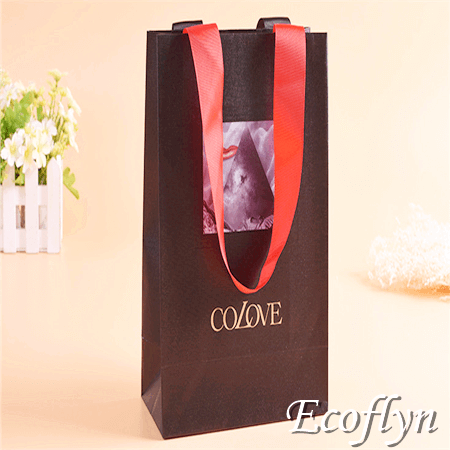 A proper custom gift bags can not only keep the gifts easy to carry, also can help express people’s appreciation in this important holiday. Diamonds or some jewelry crafts( like a necklace, pearl earrings or elegant bracelets) are really mom’s best friends. 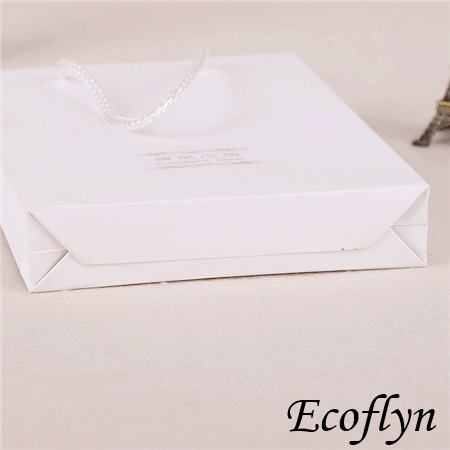 Interior small decorative box can keep the jewelry stable and avoid being crushed, anyhow, matched gift paper bags outside is necessary to make the jewelry easier to carry and a more great presentation. 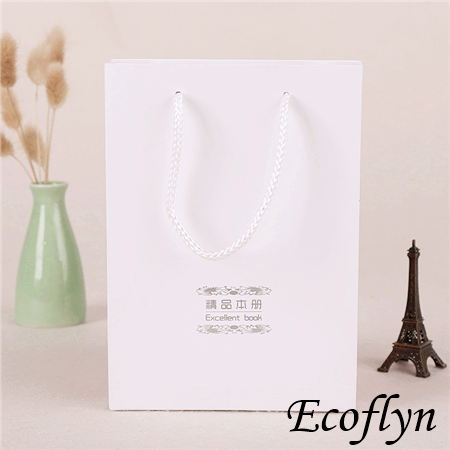 Jewelry Gift Bags are usually made up of a little thicker paperboard material instead of general coated paper. To stand more weight and protect the jewelry better, the paperboard thickness would be up to nearly 200-250gsm or even more. The white type is made up of 235GSM paperboard and in 34*27*12cm. Matched white rope handles make the bags more durable and stand more weight. Of course, we can make the bags cover laminated to looks like more glossy if you prefer. And how about the black one? It’s made out from 250GSM kraft paper material. Under gold printing and mixed colors (black + red)ribbon handles, all these make this type bags a good fit to wrap & package high-class jewelry properly. Black bag body + gold logo print make the bags look high-fashion. Bottle wines would be also a good fit as a gift at Mother’s Day. And we should care more about bottle wines wrapping&packaging because they are fragile (Like foam cushion and bubble wrap are necessary for wrapping bottle wines). 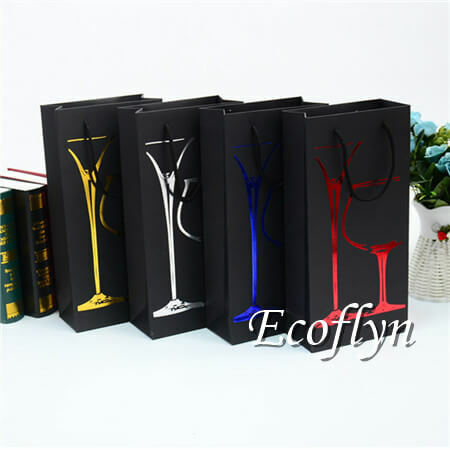 Furthermore, exterior printed matched paper wine carrier bags add more protection for wines, also make them look more elegant. Model: WR-182, in the black body and colored stamping logo design. We have 2 sizes for your choice: 125*335*80mm( for 1 bottle) and 170*350*80mm ( for 2 bottles). Surely, we can enlarge the size according to your need any time. 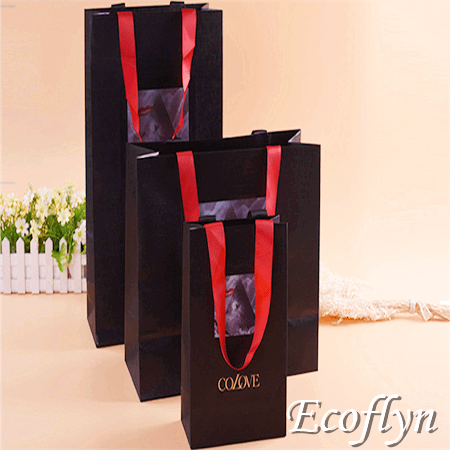 The paper wine carrier bags is with matched black twisted handles which are enough durable, we also can change them into fabric handles, rope handles or just punched is still ok.
BTW, logo design could be silk printing, hot stamping, embossed, full-color printing etc. The black paperboard is suitable to make any logo design and will not weaken the printing effect. 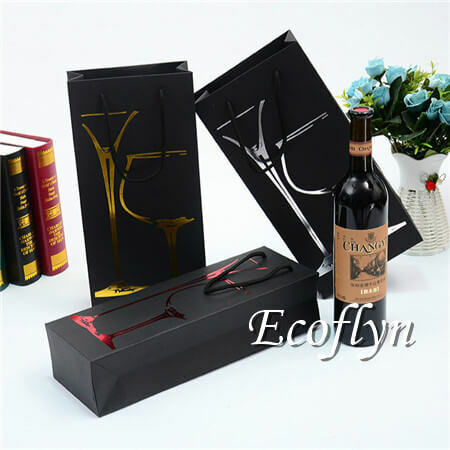 Paper Wine Gift Bags are usually made out from thicker black paperboard or kraft paper material to ensure their weight-bearing. 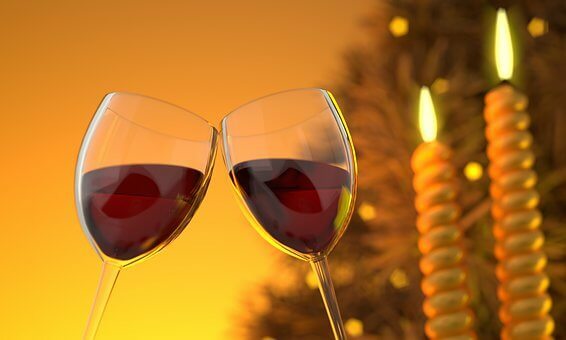 As you know, no one would like to receive a broken bottle wine as a gift. Hence, proper thickness to assure paper wine gift bag’s tolerance is pretty necessary. Of course, giving mom’s an elegant underwear suit couldn’t be better. Then, wrapping&packaging a high-class lingerie with boutique shopping bags is pretty suitable. 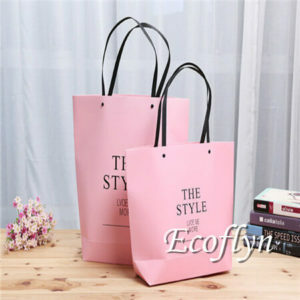 Using bulk paper gift bags shopping bags like this type or our hot-sale style on the right side. Seemingly, in outstanding pink color with sturdy handles. Add, we can easily have your boutique brand logo on the bags. Furthermore, you can simply check other colors for this same type if don’t like pink that much. 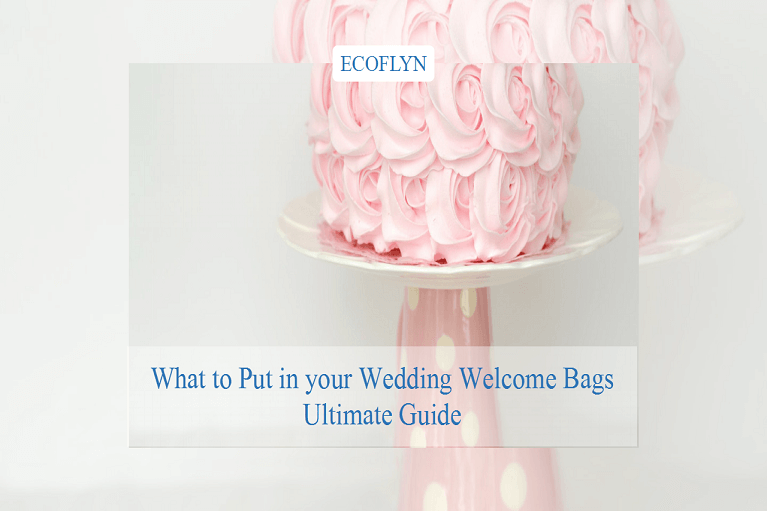 In fact, this type of paper bags could also be treated as wedding welcome bags. Since it’s with durable handles and enough space. 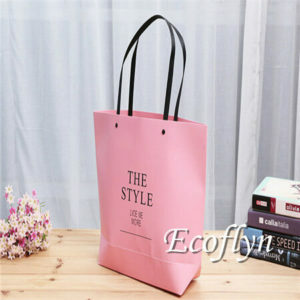 Most noteworthy, this style of boutique shopping bags are one of our best-sale, samples are in stock, easily get one RIGHT NOW! Hosting a family party for moms is a not bad idea if you want to. 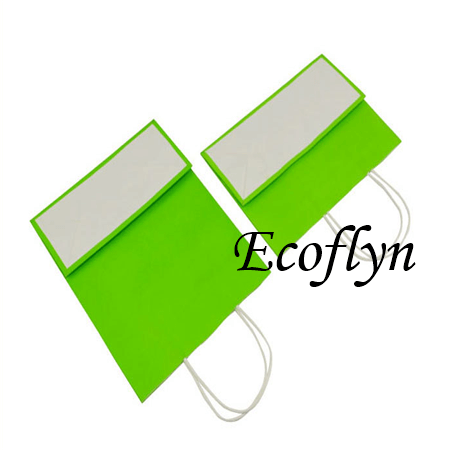 Yes, easily stuff your small gifts items into this green gift bags. Easily adding your wish special for your Mom on the bags, custom it NOW! 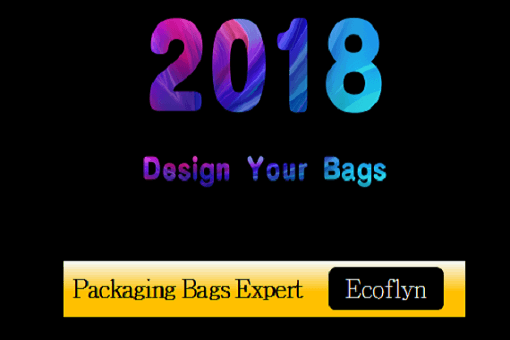 Let's custom a unique gift bag only for you! In addition, sending moms a smooth scarf or a chic custom brooch could bring them some happiness. 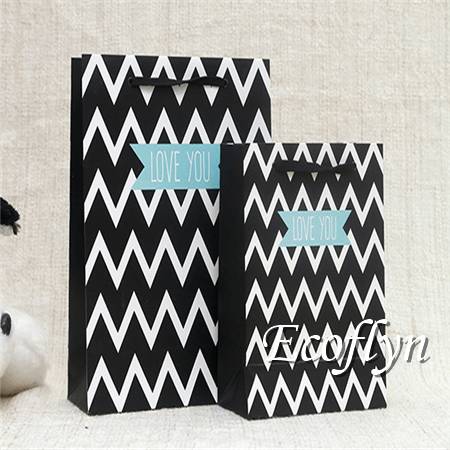 And, like these tiny items, using cute small bulk paper gift bags decorative bags to package them couldn’t be better. Same as before, you could custom a bags through adding your mom’s short name on the bags to express love. Enough large to bear common tiny gifts. In stock&low MOQ, get one free SAMPLE NOW! 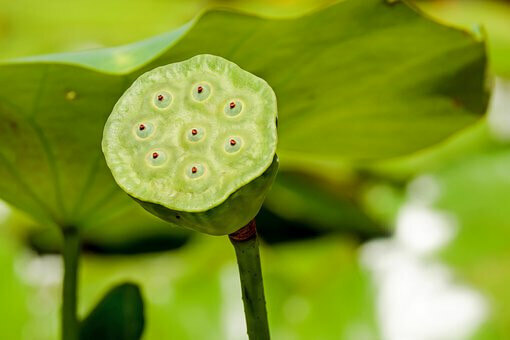 Someone is thinking of giving Mom’s a set of facial cosmetic, skin-care products or spa kits would be not bad. Anyhow, when shipping these beauty products, would better use designed packaging to protect fragile materials. Same as bottle wines, using foam cushion could help prevent beauty kits from being crashing. 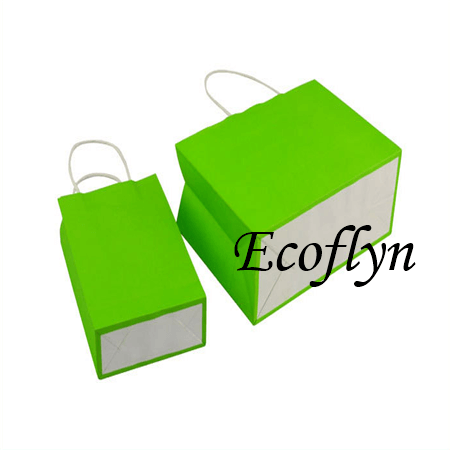 What’s more, interior tiny packaging box can hold the beauty products stable, while external paper carrier bags add double protection. Our this type is model WR-167. 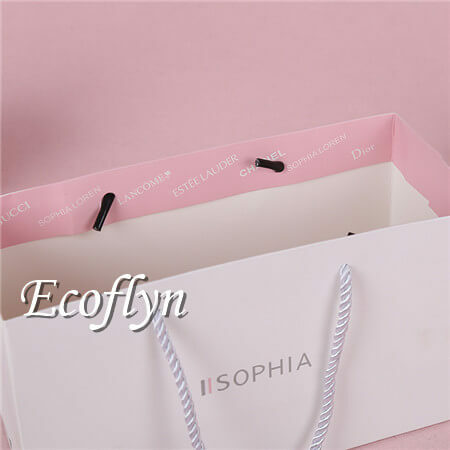 White bag + silver logo print + silver twisted handles making it a little more elegant and more suitable to packaging cosmetic sets. 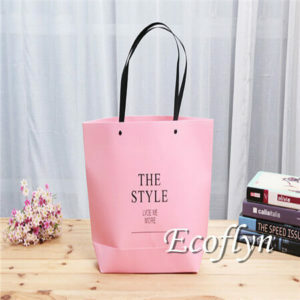 The common standard shape and clean design bring the bag into the popular list in our regular orders. 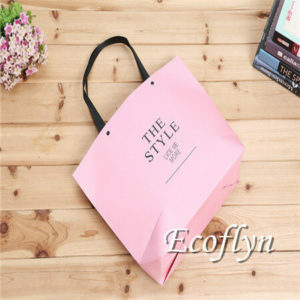 And these type cosmetic carrier bags with handles are usually used in beauty retails stores and boutiques. 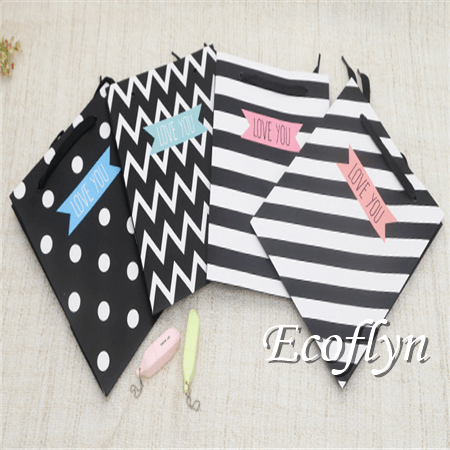 What’s more, Ecoflyn stocks huge other types cosmetic packaging bags, like this one (lips printed cosmetic bags) is also popular. Many love sending scented candles or bath bombs as gifts for Mother’s Day. 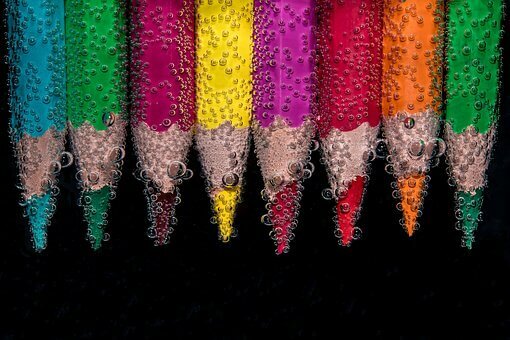 They’re tasteful, therapeutic, and universally loved. We should care about how to prevent the internal candles from touching the fire to go against melting when packaging and shipping. After the candles being put into a colored box, then adding an exterior gift paper bags to make it more attractive. 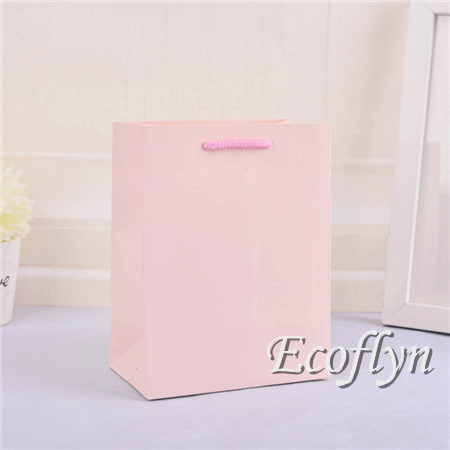 How about our this type of paper gift bags? Generally, packaging candles into small tiny gift paper bags are enough since they cover such a small space. 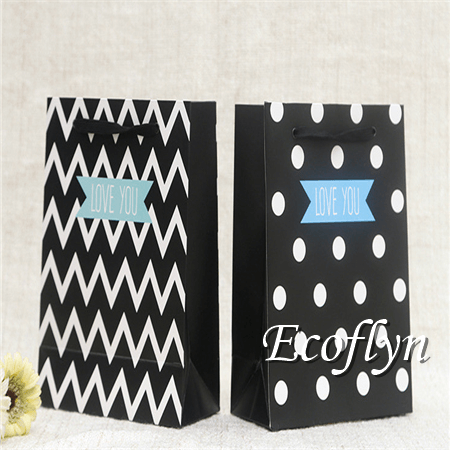 This popular type gift bags (Modell: WR-118) are in 18*14*8cm and very suitable for wrapping&packaging tiny candles. And the bag handles are rope handles (you can easily check it from the pics) in matched colors same as bag body. 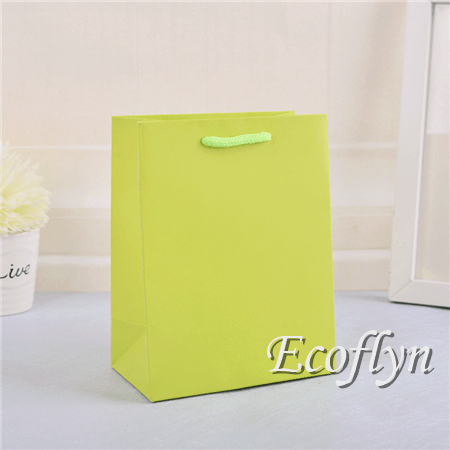 Furthermore, you can easily choose the colored bulk paper gift bags accordingly depends on the smell of your gift candles. 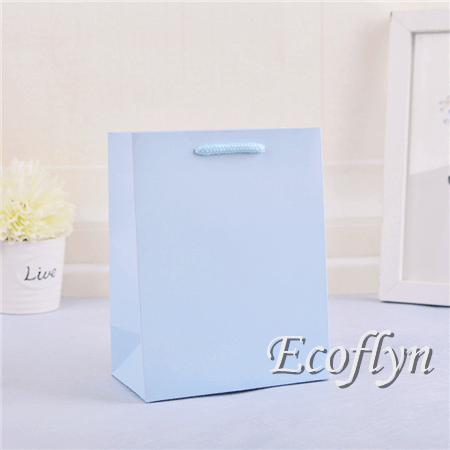 others some clean smells reduce people stress relief, properly package them in the light blue gift handles bag. You can easily find other available colors here. Or let’s custom it right now. 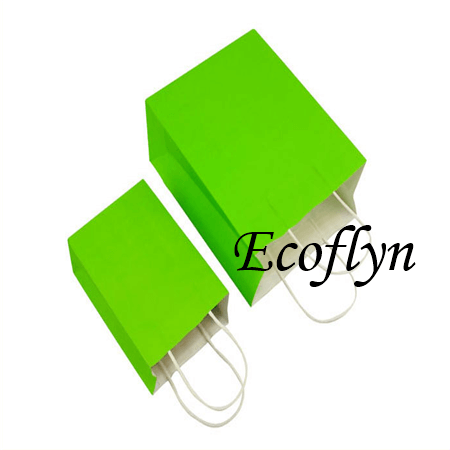 Already simply present you our 7 hot bulk paper gift bags. Check here directly or ask for a detailed e-catalog. Ask for a specific catalog! 1. Q: How to customize your own paper bags? 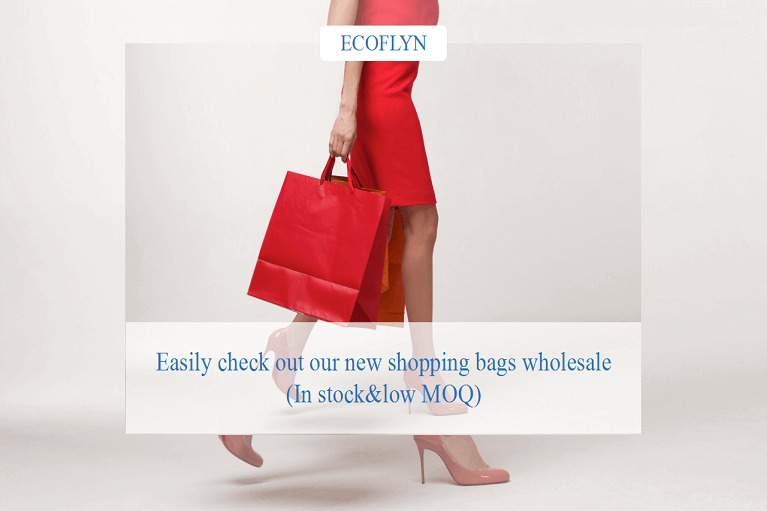 A: Ecoflyn has the special design team who makes it possible to create your own custom shopping bags. 2. 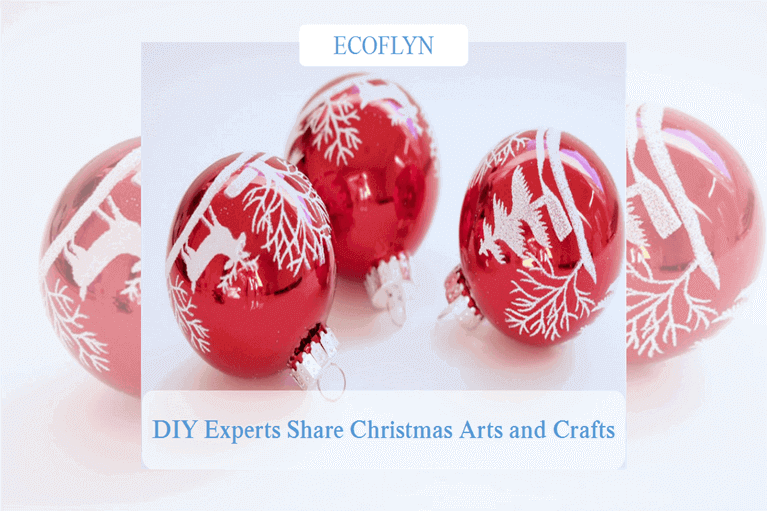 Q: how to make paper bags for gifts?